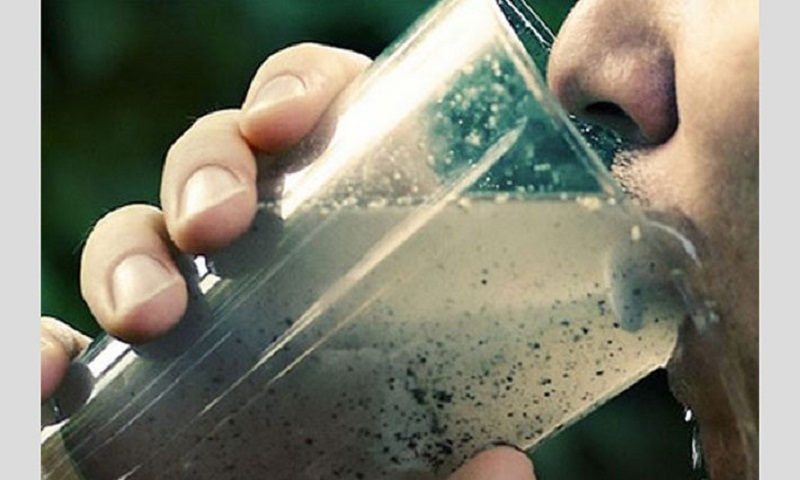 What Are We Drinking: Water Or Poison? So-called mineral water supplied to houses and offices in jars are not tested. In most cases, the water is filled in the jars right away from the tap and sometimes in the empty bottles of some of the well-known mineral bottle brands,” alleges Samia Hossain, a house owner in the city’s Moghbazar area. “I cannot trust them (the firms) as they fill the jars directly with tap water. They never filter it before supplying,” said Tasmin Kabir, a homemaker in Dhaka’s Mirpur neighbourhood, who has switched to boiling tap water. In most of the cases, jar water is simply the water collected from WASA’s pipes. In the last few years, jar water business has mushroomed in the capital and there is no monitoring of the system. The sale of polluted water in containers in different parts of the country has turned into a booming business for lack of monitoring and control by the authorities concerned, posing a serious health hazard to consumers. Most of the restaurants, canteens, street vendors and even different public and private offices are using jar water as ‘safe’ drinking mineral water. But a recent research had found that 97 percent of jar water are hazardously polluted. The poisonous jar water selling continues. People cry for stoppage of sale urgently. Mohammadpur, Mirpur, Gabtoli, and on the city’s outskirts at Aminbazar, Savar and Ashulia. Earlier a study that conducted in 2014 by the International Centre for Diarrhoeal Disease Research, Bangladesh found E coli bacteria in 63% of the water supplied by DWASA. The centre said it treats on average 700 people with diarrhoea at its hospital every day with the intensity of the water borne disease going up during the dry season. The demand for jar water is on the rise because of the growing population and proliferation of business centres, hotels and restaurants. The crisis of safe water in the sprawling 400-year-old Bangladesh capital is so acute that the Dhaka Water Supply and Sewerage Authority (DWASA) itself encourages people to boil tap water before drinking. There is scarcely anyone who dares drink water directly from the tap for fear of contracting water-borne diseases. The acute shortage of clean water has spawned a thriving business in bottled water. The Bangladesh Standard and Testing Institution has issued licences to as many as 150 firms while DWASA has allowed 38 others. But there are problems in this too with consumers complaining of lack of monitoring by the authorities. The segment on the selling of contaminated bottled water was most disturbing. This has supposedly assumed serious proportions given our increasing reliance on such a source to avoid dehydration. In the absence of boiled water and not sure of the piped water supply, the public look upon sealed plastic bottle containers as a safe means for quenching their thirst amid hot and humid conditions. without any treatment. The government should take action against them. Impure water costs around Tk 3 to Tk10 per jar as the suppliers can produce 300 to 400 jars per day. But if a water supplier meets all the requirements for jar water, each jar will cost Tk 60-80, sources said. The BSTI is supposed to be our watchdog for this sensitive area. It is their duty to ensure that the water contained in bottles have the necessary elements outlined in the wrapper around the bottle. Unfortunately, the BSTI continues to fail the consumer with regard to the performance of their expected duties. This authority rarely carries out inspections and allegations of corruption are common against this institution. Responding to such charges of inefficiency and graft, BSTI has claimed that they are under-staffed, under-resourced and have a weak mechanism for implementation. They have alleged that this weakness is taken advantage of by unscrupulous producers. Such an explanation is totally unacceptable. It is time that our Ministry of Health and other relevant authorities make a serious effort to combat this deteriorating situation. As of today, reports suggest that only one member of the Association of Bangladesh Mineral and Purified Drinking Water Manufacturers enjoy ISO 22000 certification and membership of the Asia and Middle East Bottled Water Association. Steps need to be taken to ensure that other bottlers improve the quality of their product and eventually also achieve the desired certification status. We are talking here about a critical aspect of our daily life that involves the future of our children. General Secretary of Consumers Association of Bangladesh (CAB) Advocate Humayun Kabir told UNB that the government agencies concerned, including Bangladesh Standards and Testing Institute (BSTI), cannot play their due role in stopping the marketing of contaminated jar water. Mentioning that untreated jar water could be the source of deadly diseases, he said a large number of people suffer from various waterborne diseases and take treatment at different hospitals, including ICCDRB every year due to drinking of jar water produced in different unauthorised water plants. He also suggested that different agencies like City Corporations, Department of Environment (DoE), government-run water supplying authorities reinforce monitoring to stop the production of unsafe jar water and urged the government to immediately take effective measures in this regard. He, however, said BSTI cannot alone stop the production and marketing of jar-water business. Apart from obtaining licenses from BSTI, authorities concerned have to receive trade licenses from Dhaka City Corporation, approval from Dhaka Water Supply and Sewerage Authority (Wasa) to install deep tube-wells and premium license from the Directorate of Health, he mentioned. Some even maintain that their purification or filtration products and technologies are of foreign origin while others claim that their products have been tested in labs such as the ICDDR,B. But the fact is Bangladesh Standard and Testing Institution (BSTI) or any other authorities do not have any standard or certification requirements for marketing the so-called purifiers or filters. No certification of the quality of the imported products is needed either, according to the Import Policy Order 2012-15. Amid allegations that Dhaka Wasa often supplies poor-quality and even undrinkable water, more and more companies are bringing in new products mostly from India, China, Korea and Taiwan. And the market is growing, almost by 30 percent year on year, insiders say. “People once had no idea about water purification but the rising water pollution has forced them to look for solutions,” said a director of a company that imports water filter equipment.